Posted by Jess on 18/10/2017. In our bid to future proof Bath’s heritage, we’ve been asked along to some incredible projects. Our latest involved restoring some sash windows in one of the residents of the Royal Crescent. It’s such an iconic landmark of Bath and Georgian design and we were chosen specifically for our knowledge of the craft and attention to detail. We’ve been restoring and crafting traditional sash windows in Bath and Bristol for a long time, and built a well earned reputation among architects, housing developers and home owners across the county. The sash window has a long history, and it’s our duty to ensure it’s preserved. We only craft timber sash windows in the traditional way, with full mortise and tenon joints and we ensure our joinery looks exactly how the original architect of the home intended. To enable us to do this, we’ve one of the largest selections of period moulding cutters in the country and the experienced joiners to use them. You can also see our latest work throughout Brock Street, The Circus and Belvedere. 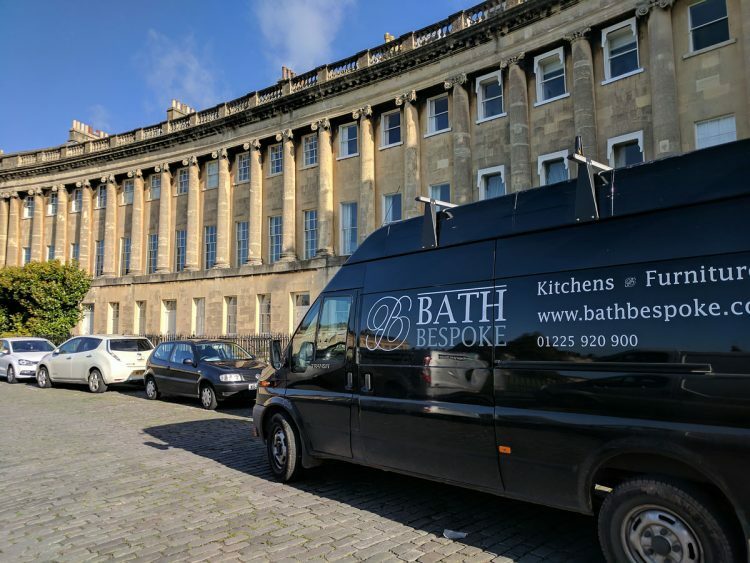 If you’ve got any questions about our restoration services, get in touch on 01225 920900 / info@bathbespoke.co.uk.